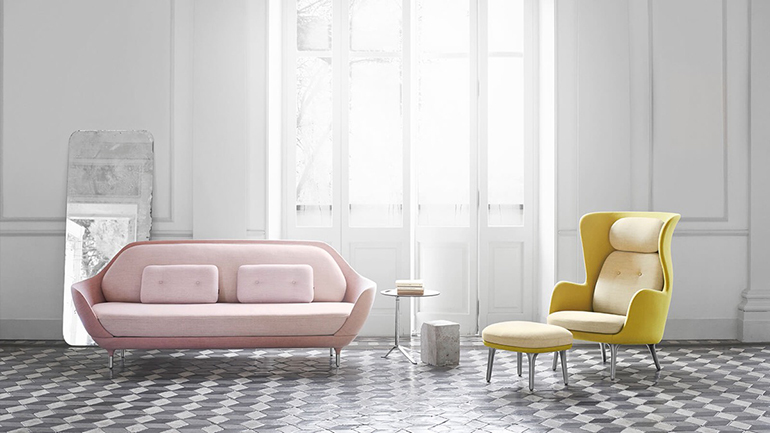 The Favn sofa and the Ro chair by Jaime Hayon for Republic of Fritz Hansen. Photo courtesy of Republic of Fritz Hansen. 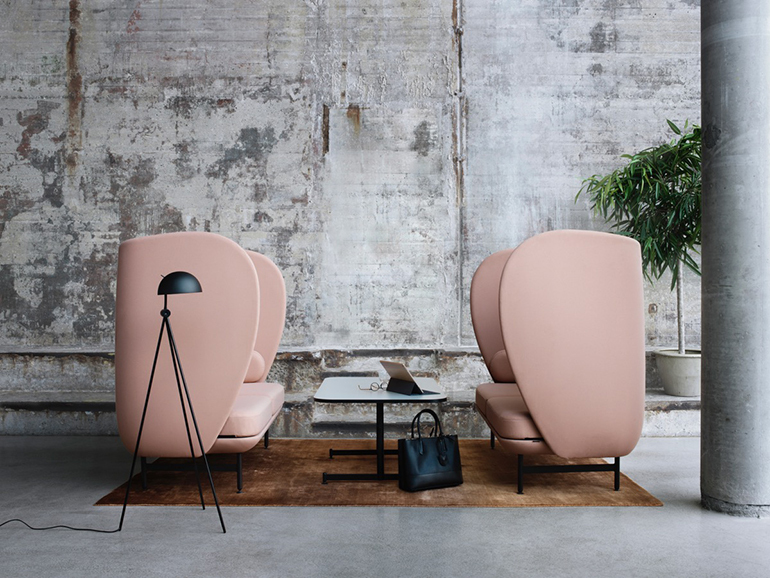 “If you think about it, today’s office has more in common with a residential loft,” Jaime Hayon tells me as we face each other sheltered in the petal-like folds of his new seating system for Republic of Fritz Hansen. 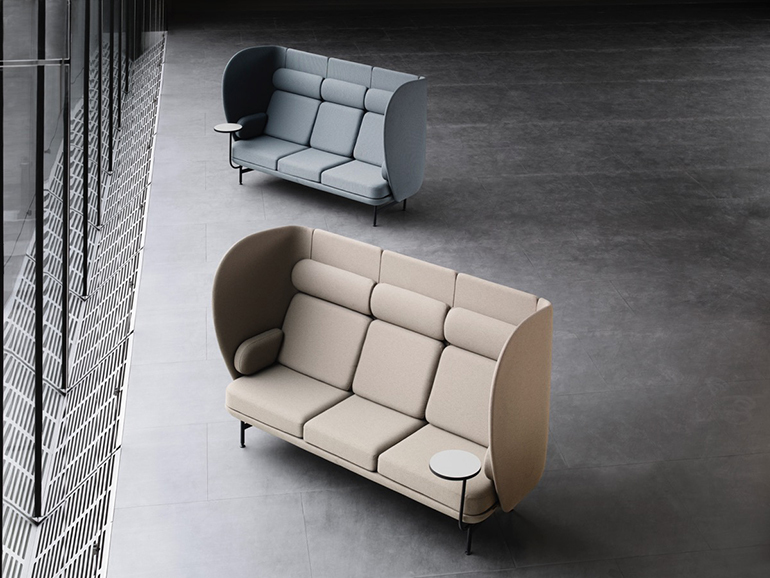 The Spanish artist and designer’s collaborations with the Danish furniture manufacturer span nearly a decade—however it wasn’t until last month, at office furniture fair Orgatec in Cologne, Germany, that Hayon introduced his very first collection dedicated to the contract market, the high-backed lounge system Plenum. 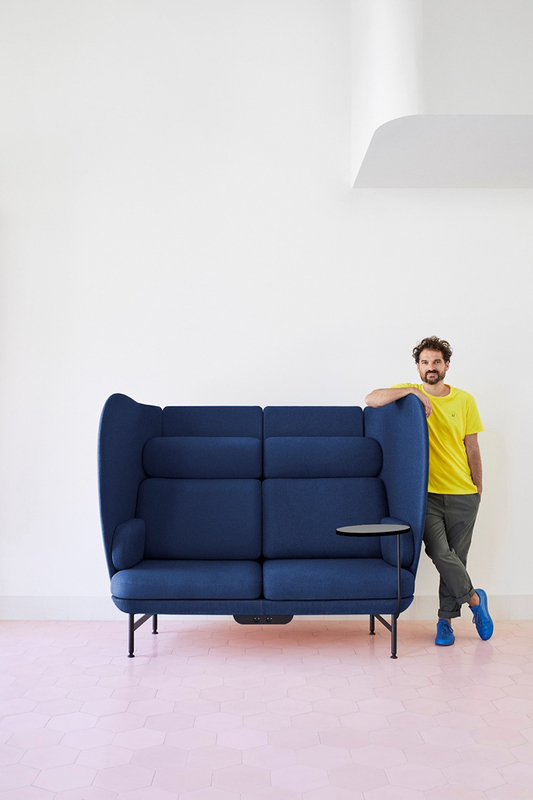 Jaime Hayon with the two-seater Plenum sofa that he designed for Republic of Fritz Hansen. Photo courtesy of Republic of Fritz Hansen. Hayon works straddling two countries, with studios in Valencia, Spain, and in Treviso, Italy, and the line between his two passions—art and design—is often blurry. 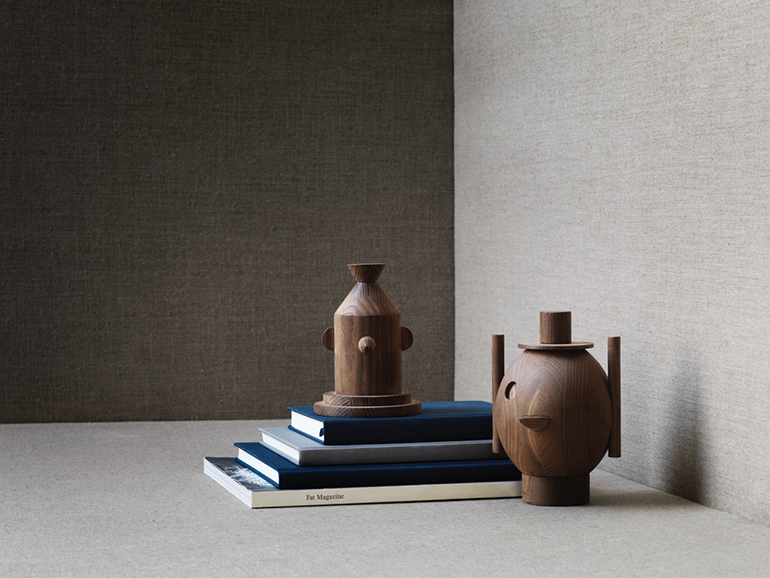 This past September, Fritz Hansen launched Geo #1 and #2, quirky wooden sculptures based on his drawings. Following Orgatec, Hayon jetted off to Prague, where a selection of his furniture, interior objects, and artwork was on view in Designblok, the Prague International Design Festival. The Plenum lounge system by Jaime Hayon for Republic of Fritz Hansen. Photo courtesy of Republic of Fritz Hansen. 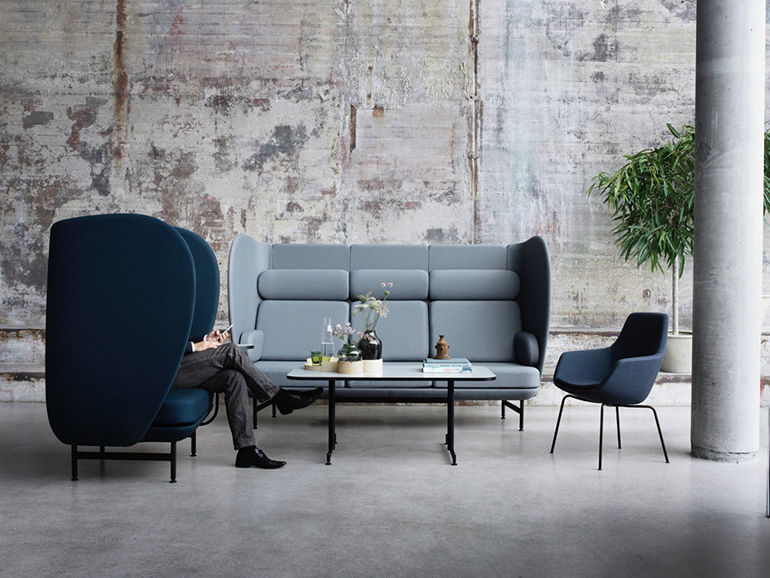 The three-seater Plenum lounge by Jaime Hayon for Republic of Fritz Hansen. Photo courtesy of Republic of Fritz Hansen. In today’s competitive workforce, companies have had to come to terms with a hard truth: Seductive interiors are no longer an optional investment when it comes to both attracting and retaining talent—not to mention maintaining office attendance with increasingly nomadic staff. Geo #1 and #2 wooden sculptures by Jaime Hayon for Republic of Fritz Hansen. Photo courtesy of Republic of Fritz Hansen. For Hayon, a collection with the office in mind was the natural next step. Completed in just 1 1/2 years—“an office chair is very complicated, generally it takes two or three years for worldwide distribution,” Hayon notes—Plenium consists of one-seater, two-seater, and three-seater units cocooning from three sides. Each piece, with an electrical outlet and USB ports installed under the seat, can stand alone or be mixed together for breakout areas geared towards relaxation, concentrated work, or acoustically sheltered meetings. In the busy Fritz Hansen booth, the hush induced by the three enveloping wings is all the more striking. 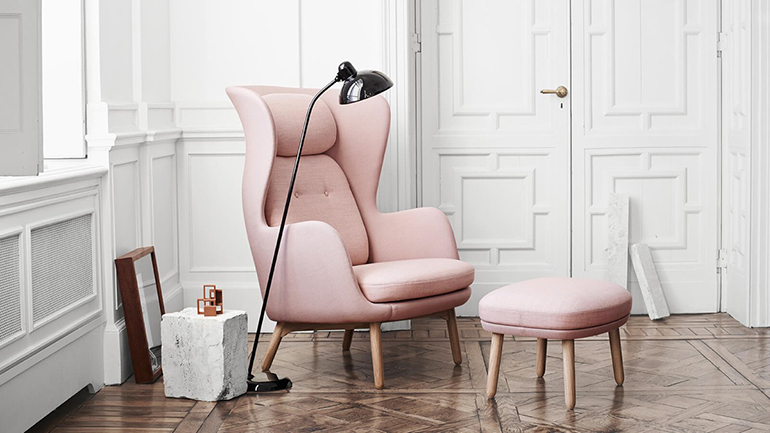 The Fri chair by Jaime Hayon for Republic of Fritz Hansen. Photo courtesy of Republic of Fritz Hansen. Surfaces for a laptop or tablet are also available, either mounted to the base or via a separate small table. Since the pieces are assembled from modular parts, up to seven can be shipped on a pallet. “If you saw how this is sold flatpack, you’d freak out—I don’t know how they do it,” Hayon notes. 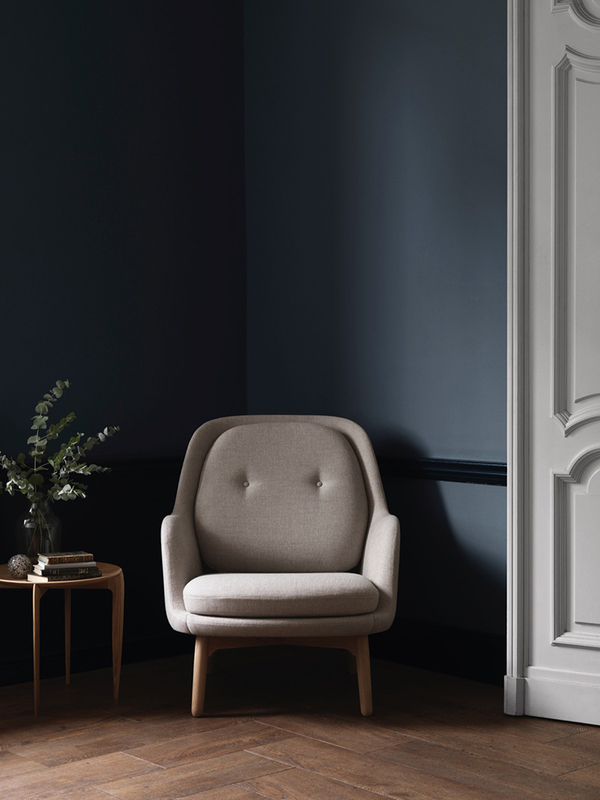 The Ro chair by Jaime Hayon for Republic of Fritz Hansen. Photo courtesy of Republic of Fritz Hansen. 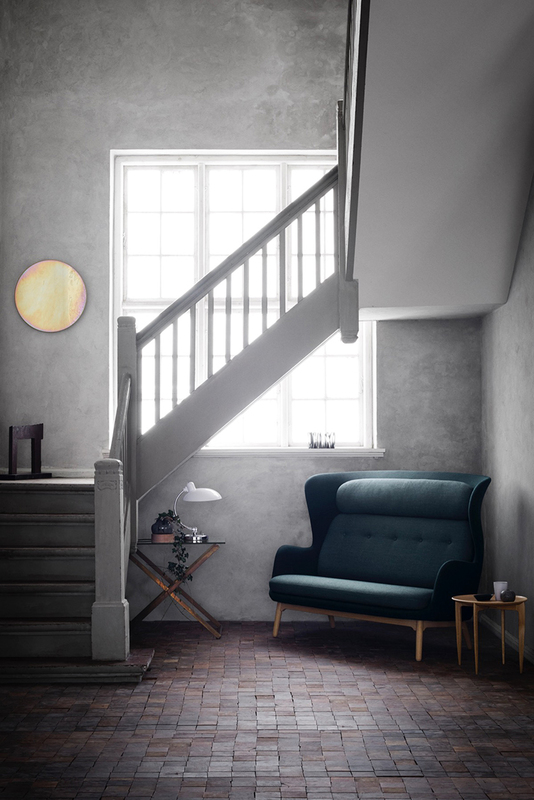 The Ro sofa by Jaime Hayon for Republic of Fritz Hansen. Photo courtesy of Republic of Fritz Hansen.